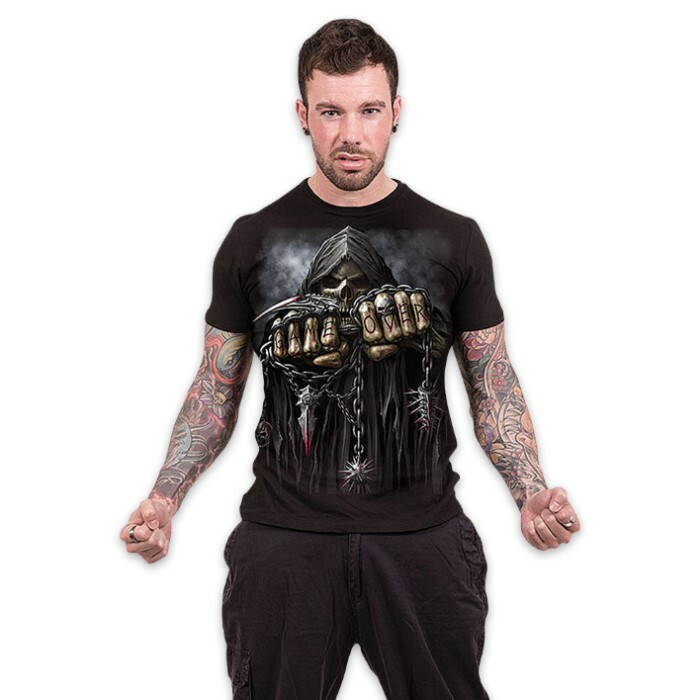 Game Over Black T-Shirt | BUDK.com - Knives & Swords At The Lowest Prices! They’ll know it’s “Game Over” when they see you wearing this skeleton Reaper with his carved knuckles. 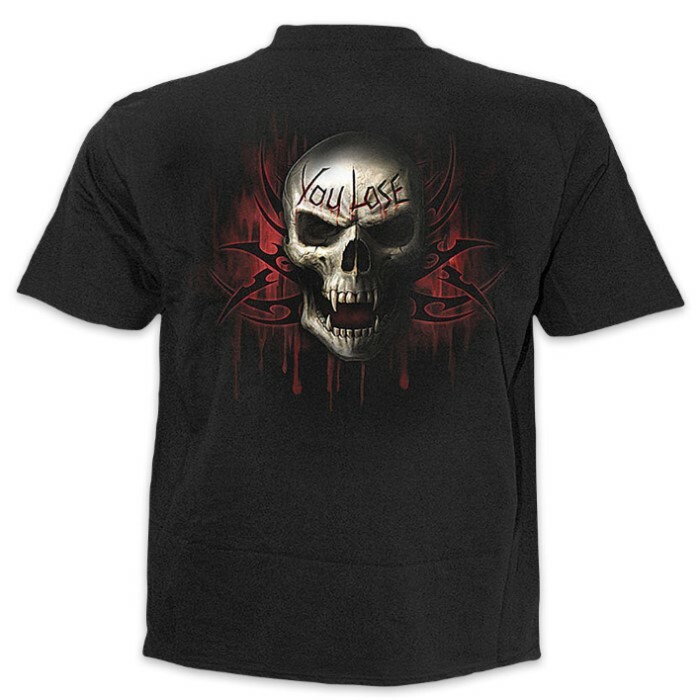 The back of the t-shirt features a wicked skull with “You Lose” carved into the forehead on a tribal background. The detailed, original artwork is printed on high quality jersey material using skin-friendly, Azo-free reactive dyes. 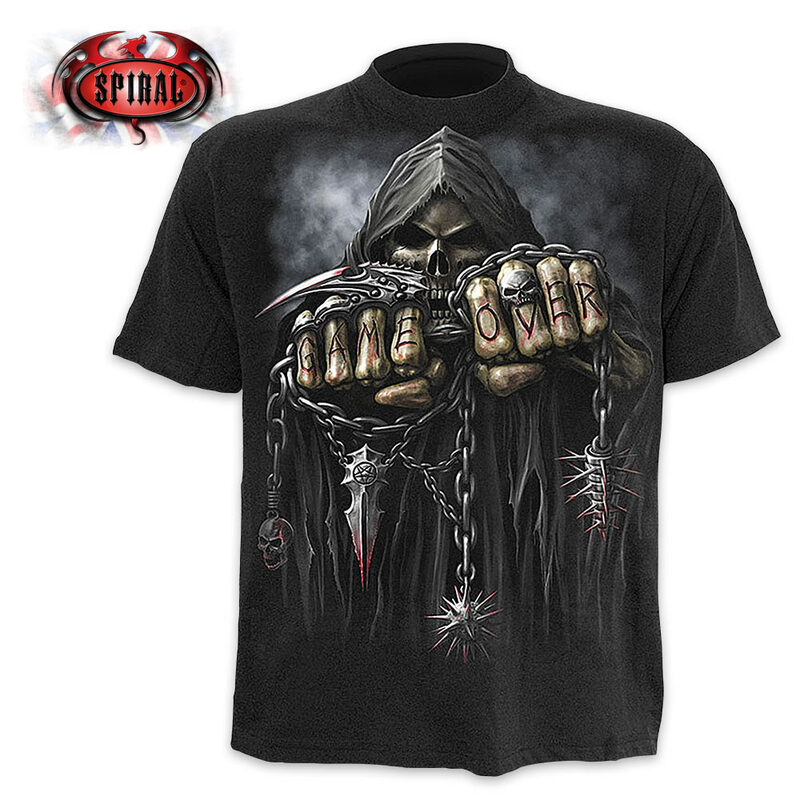 Any self-respecting Goth Biker will add this awesome shirt to his wardrobe!